If you love your morning cup of joe, then check out this new K-Cups coupon! You can find a great deal on your coffee K-Cups at either Kroger or Harris Teeter this week for 41¢ per K-Cup. Don’t shop at Kroger or Harris Teeter? You can still print your coupon and wait for a sale in your store. Tip: Each coupon can be printed twice per computer. 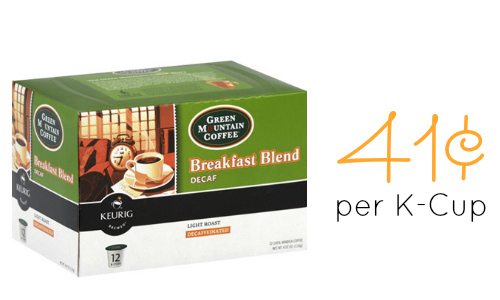 Total Due: $4.99 or 41¢ per K-Cup!